If you prefer Zoho Office Suite to Microsoft Office 365 or Google Sheets and want to connect it to your Magento 2 website, you’ve come to the right place. Since our favorite e-commerce platform doesn’t provide the desired functionality, some sort of magic is required. Below, we shed light on how to import and export data from Zoho Sheet into Magento 2, but let’s say a few words about the spreadsheet software first. 1 What is Zoho Office Suite? What is Zoho Office Suite? Zoho Suite is a popular web-based office suite that offers a plethora of different tools aimed at word processing, note-taking, spreadsheet editing, presentation and web conference management, invoicing, CRM, project management, etc. As you can see the list of provided services is even more impressive that one offered by Office 365. Launched in 2005, ZOHO Corporation has already gained a status of a worldwide leader in its niche of SaaS software. The company’s key products include Writer, Sheet, Show, Creator, Meeting, and Planner. You can use plugins to integrate some of them with the corresponding tools by Microsoft. Furthermore, some of Zoho’s applications are integrated with Google Apps. Although they are still competing, you can sign in to both suits under the same credentials. Buy what about Magento 2? Among all of Zoho’s products, you can fully leverage Sheets to optimize the way you run your e-commerce business. Since this service has the functionality similar to Google Sheets and Office 365 Excel, you can leverage it for exchanging data between your website and external platforms. But why is Zoho Sheet preferable over competitors? There are multiple reasons to choose this particular service. 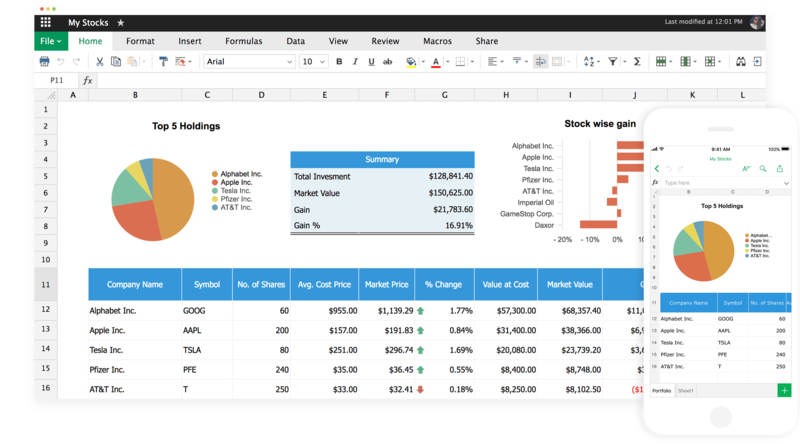 It lets you create interactive spreadsheets and share them with your team. Although the same opportunity is offered by other similar solutions, Zoho Sheet offers extended functionality when it comes to the ability to keep your data in check. It is possible to prevent and analyze changes by using user-based blocks and filters. Thus, no data is lost when you use Zoho Sheet. Besides, there are some advanced analytics tools that offer over 350 functions, multi-axis charts, and other supplementary stuff. And while Zoho Sheet is compatible with Excel and various file formats out of the box – ODS, CSV, and TSV – you can make it linked to your Magento 2 website within just a few clicks. Let’s proceed to the next chapter of this article to see how to achieve this goal. As you might have already guessed, it is necessary to install a third-party plugin to make Magento 2 compatible with Zoho Sheets, and the name of this plugin is Improved Import & Export extension. The module is designed to revamp the default import and export functionality of our favorite e-commerce platform by introducing support for multiple external systems, file formats, and connection types. Below, we will explore its functionality in more detail. Now, let’s focus on the Magento 2 Zoho Sheet integration. Category IDs on files instead of names. These features essentially improved the Magento 2 Zoho Sheet integration, but how does the exact import process look? Go to the extension admin and create a new job there. Configure its parameters including a schedule and attributes mapping. Choose the imported entity and specify a link to it. Now, the job can be saved and launched. That’s it! You’ve just configured data import from Zoho Sheet to Magento 2. Note that this was a basic configuration – multiple other parameters can be enabled/disabled, but this one is enough to start the synchronization. Now, we’d like to draw your attention to the features of the Improved Import & Export Magento 2 extension designed to simplify your integration with Zoho Sheet or any external systems. As we’ve already mentioned, you can easily import and export data files in a fully automated manner. To achieve this goal, the Improved Import & Export plugin provides two separate mechanisms: crone-based schedules and event-based updates. Let’s take a look at each one individually. Our extension offers several ways to create crone-based schedules. If you know the default cron syntax, you can apply it to specify any custom update intervals. If you have a zero experience in this sphere, the Improved Import & Export Magento 2 extension offers a list of predefined intervals. Select one that suits your business needs. Note that this interval can be customized if necessary. Besides, it is also worth mentioning that our module lets you create profiles that have no schedule. You can launch them whenever you need. Such profiles are usually used for one-time data migrations or asynchronous updates. And you can always launch any job before schedule in a manual mode. The Improved Import & Export Magento 2 extension adds a maximum flexibility so that there is no need to create a new import profile to transfer an important update if it is provided long before the schedule. Another way to automate data import and export is based on Magento 2 events and observers. To make the long story short, we should only say that you select an event and specify conditions to launch data transfers automatically. That’s how the event-based automation works. It is simple and straightforward. By combining both approaches, you can eliminate a huge part of your daily routine related to data updates. To read more about event-based import and export processes, follow this link: How to Run Magento 2 Import or Export After Specific System Event or Process. It’s not a secret that different systems have their unique standards related to the way data is stored and represented. While these rules dramatically improve various inner processes, they also make the direct integration between two systems impossible. Even Magento 2 and Magento 1 have different attribute standards so that you cannot connect one platform version to another. It is necessary to edit data files every time you want to import an update into Magento 2. The same is about export processes: you need to edit the output to make it suitable for external platforms. Luckily, The Improved Import & Export Magento 2 extension solves this problem in multiple ways. You specify an external platform and provide the extension with a data file. Next, the Improved Import & Export Magento 2 module analyzed the data sheet and matches its attributes to ones used internally. That’s it. Your task is reduced to selecting a necessary preset. If a certain preset is not available or you just want to explore the difference between attributes by matching everything manually, the Improved Import & Export extension offers a convenient interface that contains three columns. Additionally to attributes, you can map their values. The procedure is similar to one described above: you select a third-party attribute value and bound it to an internal one. As a result, no new values appear in your database after you import a data file that contains them. Note that it is possible to map multiple external values to one used internally. For instance, an external attribute – “color” – has two values: “baby-blue” and “dark-blue”. In your database, there is only one corresponding value – “blue”. Match each external designation to the one used internally. You can find more information regarding attribute values mapping here: Attribute Values Mapping. Note that it is possible to combine them and create conditions to apply changes in a more precise manner. The corresponding features are described here: How to Modify Attribute Values During Import and Export in Magento 2. Another vital improvement related to mapping is related to categories. When you import products from an external system, they may be linked to categories that are not available in your catalog. Thus, you need either create new ones before the import or edit data files manually. Luckily, the Improved Import & Export Magento 2 extension introduces a way better solution. You only need to match an external category to the one used internally. The procedure can be completed in just a few clicks. If necessary, new categories can be added during the import. You only need to specify a new name and a parent category. For further information, follow this link: Category Mapping. And if some attributes are missed, this issue can be easily fixed. Our module allows specifying parameters necessary for the creation of a new attribute in a cell that lacks any data. Follow this link to discover the full algorithm of attributes creation on the fly: Product attributes import. In addition to the Magento 2 Zoho Sheet integration, we would also like to draw your attention to other ways of importing/exporting data with the help of our extension. Let’ explore the most widely used approach – data file transfers. File transfers are utilized as a default method of data import/export in Magento 2. The platform supports just one file standard – CSV. Consequently, you need to convert all external output into it to make data files suitable for the import. The same problem occurs when an external system doesn’t work with CSV files or other standards are more preferable. The Improved Import & Export Magento 2 extension completely solves this issue by introducing support for multiple file formats. In addition to CSV, our module works with XML, JSON, ODS, and Excel files. It means that you can effortlessly import them into the system as well as create the corresponding output. When it comes to file transfers, it is necessary to say a few words about a broad variety of file sources supported by the Improved Import & Export Magento 2 extension. First of all, our module enables you to leverage various FTP/SFTP connection. It means that you can use your local server as a source of files. However, an external server can be utilized for the same purpose. At the same time, the Improved Import & Export extension is integrated with Dropbox. Thus, it is possible to exchange data files via a Dropbox account. It is a very convenient and fast way to run import and export processes, but there is one that is even easier. The Improved Import & Export Magento 2 extension supports direct URL uploads. This feature works for import processes only, but it essentially simplifies them. You only need to specify an address of a data file and our module will transfer it into the system. Note that the Improved Import & Export Magento 2 extension knows what to do with compressed data. It unzips/untars file archives so that you no longer need to do that manually before every import. At the same time, the Improved Import & Export Magento 2 extension allows leveraging various API connections: REST, SOAP, and GraphQL. If the desired external platform supports one of them, you can effortlessly create a bidirectional data flow between it and your Magento 2 store. Any data can be exchanged, and you can apply mapping, scheduling, and other features. Watch the following video to discover more aspects of the Improved Import & Export Magento 2 extension. As you can see, the Magento 2 Zoho Sheet integration is something that can be established within just a few clicks. You only need to install the Improved Import & Export extension. In addition to the ability to import/export data between the two systems, our module allows simplifying this processes and making everything fully automated. If you still have any questions, please, follow the link below and contact our support.